Today social media marketing is increasingly important and Andrew Macarthy books and eBooks are at the prominent place of recognition among readers. His book “500 Social Media Marketing Tips” is the Amazon’s No. 1 bestseller in the topic. Andrew Macarthy is a social media strategist and his books helped thousands of people around the world. 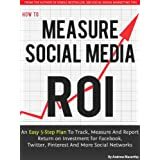 This book is the top bestseller in social media marketing on Amazon. 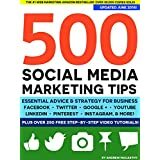 In this updated book, you’ll learn strong social media strategies for successful marketing and sales on Facebook, Twitter, Google+, Pinterest, LinkedIn, Youtube, Instagram, Vine and many other social sites. You’ll learn to achieve strong social media presence for improving traffic and sales through these social platforms. A must-have book for web marketers and brand builders! Read this book and see why it is a bestseller. LinkedIn is the world’s biggest professional networking site with over 200 million members. In this book, you’ll learn to create an irresistible LinkedIn profile. 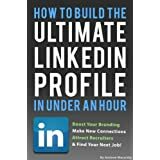 The author will teach you how to create a magnetic, long lasting impression LinkedIn profile quickly. Andrew Macarthy will teach you how to write an impressive LinkedIn headline, how to add the right profile photo, how to write a compelling summary for strong branding, how to add your skills, how to choose your custom LinkedIn url, how to promote your profile, how to use LinkedIn Groups to grow your connections and more advanced techniques. Images provide attraction. Good images play a vital role to enhance your branding strategies. 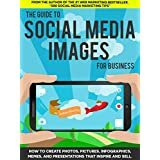 In this book, Andrew Macarthy teaches you how to create powerful images like photos, graffics, animated GIFs, memes and more, how to best use them on Facebook, Pinterest, Twitter, Instagram and Google+. You’ll learn how to standout of the crowd with the images to increase engagement and sales. Every business needs to understand Return on Investment (ROI), so as also for social media marketing. As you are working with your social media strategies, you want to know its ROI. This eBook will teach you how to tract and measure social media ROI easily. A must-read book for social media marketers. 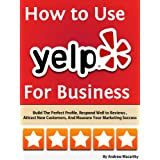 This book by Andrew Macarthy is about Yelp and the promotion of your business to increase sales and improve your brand awareness online. In this book, you’ll learn expert tips on how to create a perfect profile, attract new customers and measure your marketing success with the help of Yelp. You have written an eBook and now you want to sell it online, what to do if you can’t do it? 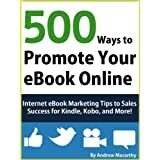 Andrew Macarthy tells you 500 expert tips to sell out your eBooks written on any topic. Learn more about building your readership over social media, attracting customers, optimizing the eBook cover and selling more and more copies. In Instagram, millions of people are sharing photos and enjoying. 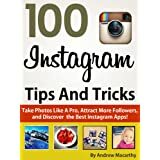 The book will teach you the best experience of Instagram and more about taking better photos, attracting new followers, using the best apps to make your photos unique, etc. 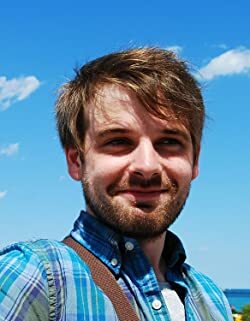 Learn 100 tips and tricks from this social media guru. Instagram has more than 80 million users and you can use Instagram for your business success. 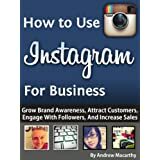 Social media guru Andrew Macarthy reveals expert tips on how to build your brand, build followers, attract customers and increase sales through Instagram. You can use Tumbler to grow your business, grow brand awareness and increase sales. Tumbler attracts more than 23 million users per month. 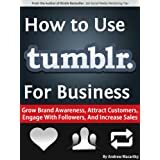 The bestselling author Andrew Macarthy shares you expert tips in this e-book on how to grow your business through Tumbler. 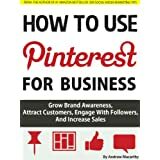 The author tells his best tips and tricks about Pinterest Marketing on how to build your brand, attract customers and increase sales. With over 20 million Pinterest users, you can make a fortune with this eBook. Today more and more people are using their smartphones or tablets in browsing the web. So, you should consider about mobile marketing strategies for mobile devices. 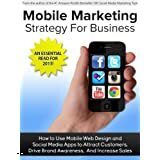 In this eBook, you’ll learn about mobile web design, SEO, app building, top social media apps and more`. If you read those books and eBooks written by Andrew Macarthy, leave your comments below and share this page to your social fans. Today social media marketing is increasingly important and Andrew Macarthy books and eBooks are at the prominent place of recognition among readers.